Environmentally Focused Attitude right from Production! In addition to our professional commitment, we also focus on the protection of our environment. By saving a significant amount of energy, our products play an active role in decreasing global carbon dioxide emission. Our environmentally focused attitude is characteristic of RAVATHERM XPS from the first steps of the production process to the question of recyclability. 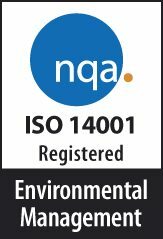 In order to achieve this goal, we decided to implement an Environmental Management System (EMS) according to the MSZ EN ISO 14001: 2005 standard in 2014. The EMS includes managing the environmental impact of products and services defined by our scope of activities. Our Environmental Management System is focused on the principle of prevention. As a result, we have established and are operating a system which is centered around continuous improvement. We also consider the minimizing of waste and decreased energy consumption to be a continuous improvement requirement. We expect all our colleagues to act according to this requirement. We strive to comply with both external regulations (environmental laws and resolutions that we are subject to) as well as non-mandatory requirements to the fullest extent possible. We communicate the components of EMS to our staff within the framework of appropriate internal training courses. All of our workers are aware of the environmental policy and objectives. Our aim is to implement environmentally conscious management of the materials used during our activities, to continuously seek out recycling opportunities, and to use and apply environmentally friendly devices and equipment.